Prints are everything we are loving this season and this jumpsuit is perfect for your weekend wardrobe girl. Featuring a velvet material with a snake print design, a tie waist detail and a wide-leg design. 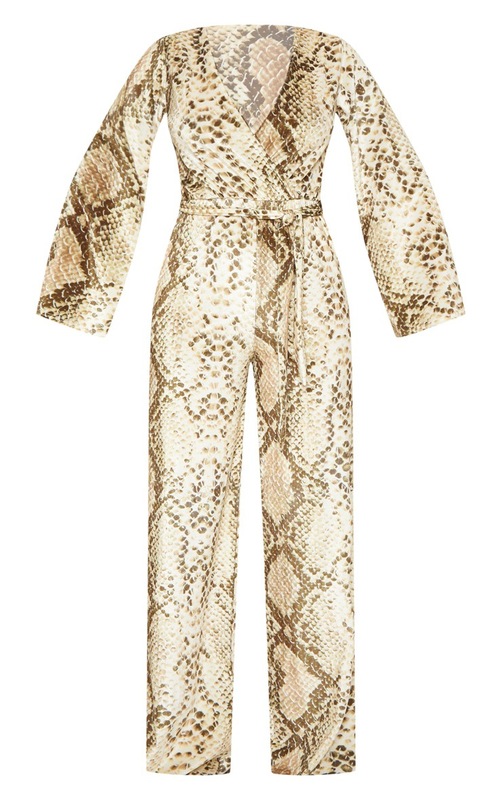 Team this jumpsuit with some statement jewellery for a night out with your besties girl.